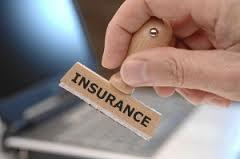 In the life insurance area of financial services the answer is even tougher to find than usual, because insurance is for virtually all consumers an absolute grudge purchase. When we think about it logically every person who buys insurance (especially life or disability insurance) hopes that they are wasting their money…the last thing they want is a claim, isn’t it? Simplistically it seems obvious enough that customers want money to turn up quickly and painlessly to help a surviving family or business adjust to the loss of a person. That’s the end result that customers are looking for of course, but the more vexing question at the front end of the process is what do customers want when trying to determine which insurer should be chosen? Each of these areas can be considered from two different perspectives: Product, and, People. Generally consumers want to be able to make good choices through comparison, to determine relative value. An ongoing issue in life insurance is the difficulty for consumers to easily compare different options and products, despite the prevalence of online pricing comparators that have evolved in recent years. Comparing price of the products remains relatively meaningless if the consumer is unable to differentiate the products themselves from each other in terms of how they work, or might be expected to perform. The terminology that the industry uses contributes to the lack of simplicity for consumers, but so too does the inability to explain in clear terms why a particular product might be superior or unique, or why the pricing is what it is. This lack of simplicity and transparency in product undermines the general desire to establish a commercial relationship based upon trust, as the complexity actually generates levels of distrust. The majority of consumers know full well that the life insurance is likely to be something which they hold for many years, so establishing trust in the insurer and the product at the outset is a major factor. So too is the expectation of loyalty from consumers according to the research. The customers expect largely to have some form of loyalty recognition built into the insurance-customer relationship that rewards the years of patient premium payment. This is an area where generally the product manufacturers perform pretty poorly. The second key area where these core consumer needs must be met if the industry (and its products) wants greater support and participation from consumers is from the people representing the industry and its products. Without doubt there has been significant focus upon the “transparency” issues for advisers in recent years, largely as a result of evolving professionalism across the industry globally, supported by regulatory reform. Yet, the research suggests that consumers feel that the industry is not yet transparent enough. And that extends well beyond just the advisers these days. There is a growing public perception that the people inside institutions, and indeed the institutions themselves, are not transparent enough. Of course many on the distribution side of the fence (the advisers) actually agree with the consumer here. The complexity that remains within product and pricing presents opportunity for industry professionals to demonstrate value and meet a core customer need, thought to do that successfully requires establishing the required levels of trust. Higher levels of transparency from all parties in the product design, implementation and servicing chain will assist with establishing higher levels of trust, but so too will greater simplicity in terminology and improved communications with the market at large as well as individual clients. For all the technical excellence which has been created, it seems apparent that consumers are not giving the industry a pass mark on simplicity. Or transparency. Or communications. And we certainly do not appear to be on loyalty to long-standing customers either. One can only conclude that the pace of change and the use of technology to increase financial literacy and place information together with control of personal data into the consumers hands will escalate. For any practice looking to differentiate in the customers eyes these areas would appear to be golden opportunities to stand out from the crowd and become far more referable. Simplify everything possible to enable customers to understand and feel they are making good comparisons and good choices, and then put in place service systems that reward loyal customers, along with great and constant communications.